Gero-onsen (Gero Hot Springs) is located on the Hida River and one of the top three hot springs in Japan along with Arima-onsen in Hyogo Prefecture and Kusatsu-onsen in Gunma Prefecture. 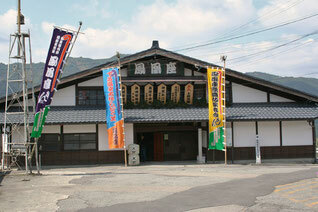 Gero-Onsen is an excellent hot spring with a thousand-year history. 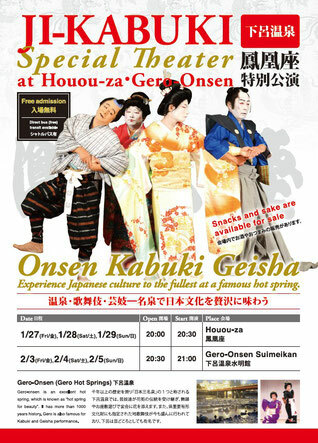 Gero-onsen is proud of its hot springs, which are known as “hot springs for beauty” and hot springs surrounded by abundant nature, such as the “Osaka no Taki Meguri (water falls tour in Kosaka).” Please enjoy a special performance of Jikabuki and dances by geisha in Gero-Onsen. 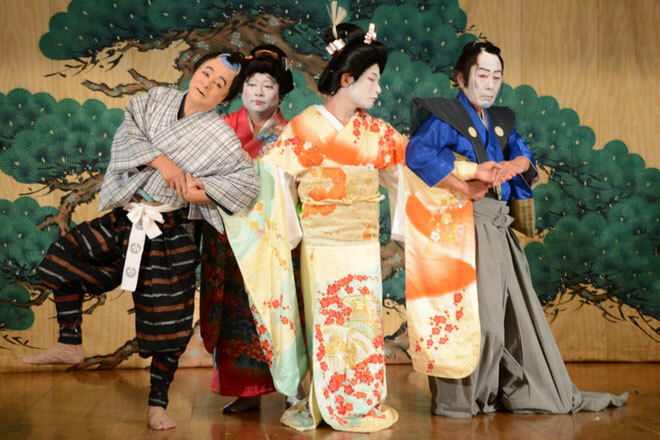 Only in Gero-onsen can you enjoy “Onsen, Kabuki, and Geisha,” the typical Japanese sightseeing items, all in one place because Gero-Onsen is known as a center of entertainment. 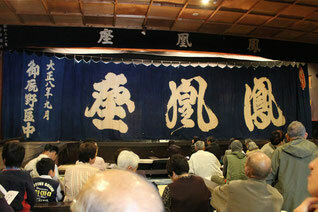 The performance site varies by day. 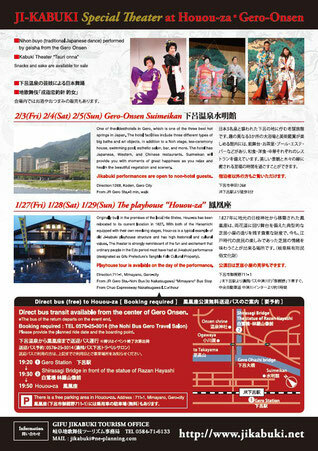 Direct bus transit available from the center of the Gero Onsen. If you want to enjoy the best hot springs under the sun, we recommend the “Yu Meguri (Hot Springs Tour).” You can use unique hot springs at different hotels in Gero-Onsen. 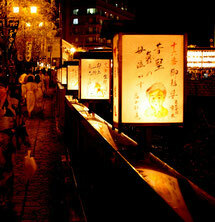 You can enjoy three baths with a pass for 1,300 yen (tax included).